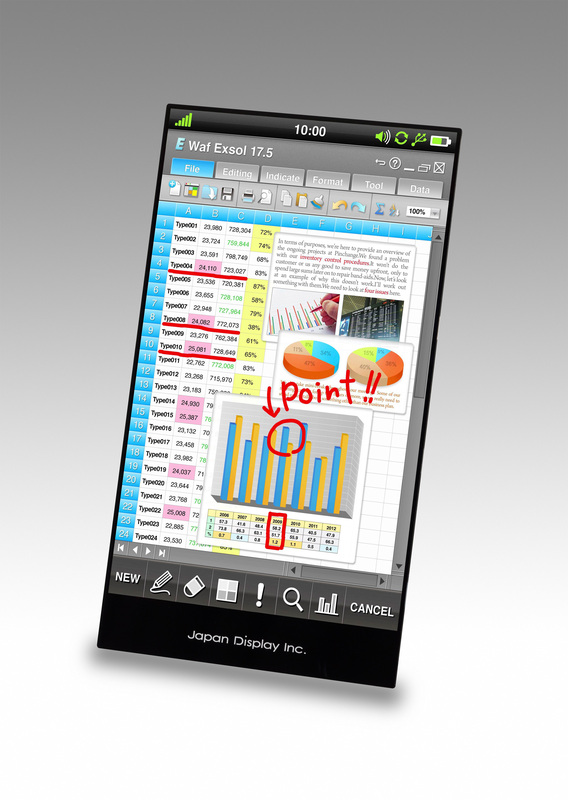 June 19, 2014 (Tokyo, Japan): Japan Display Inc. (President and CEO: Shuichi Otsuka, JDI), a leading global supplier of small- and medium-sized displays, has completed development of elemental technologies for "Pixel Eyes" LCD module for high resolution tablets and begun preparations for mass production. That will enable "Pixel Eyes" products to be introduced to high resolution tablets featuring, for example, more than 7-inch wide QXGA (1,600 x 2,560 pixels) and 4K2K (3,840 x 2,160 pixels) displays in addition to smartphones with displays in the 5-inch class*1. "Pixel Eyes" is a product incorporating JDI's original technology that implants the touch sensor functions into display panels. It eliminates the need for the touch panel that has conventionally incorporated as a separate component. This means that the display module will be thinner in size, lighter in weight and higher in transmissivity. It will also open the way not only for a comfortable touch operation experience but also a broad range of user interfaces, including stylus entry. In the course of developing "Pixel Eyes" for high resolution tablets, it was a challenge to improve the drive performance of the display and the touch sensor following the size increase. JDI recently developed a mechanism to sharply lower the resistance of wiring used in the built-in touch sensor and combined it with its unique drive technology to establish the world's first technology incorporating the touch sensor function into the display module for high-resolution tablets*2. JDI's Mobara Plant (Mobara-shi, Chiba, Japan) is now making preparations and adjusting its sixth-generation (1,500 x 1,850mm glass substrate) low temperature poly-silicon (LTPS) line with a view to starting mass production of "Pixel Eyes" for high resolution tablets in autumn 2014. JDI will push ahead with the shift to LTPS panels in the tablet market, contributing to the further evolution of mobile products.